A technological solution with the most advanced features on the market. The application connects your mobile device so there’s no need for codes and keys. The strongest materials and toughest tests are used to guarantee each safe. A high-security key and an emergency code as alternatives in case of need. 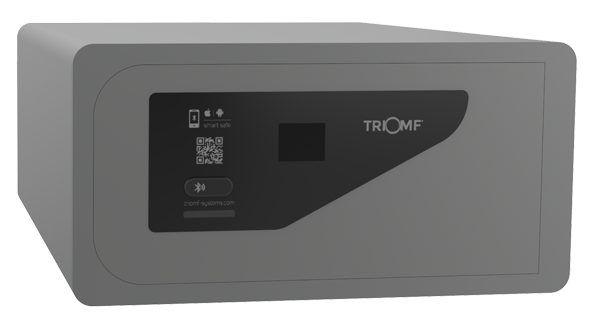 Our safes are especially designed for the following sectors: hotels, hospitals, university housing, offices, transportation, recreational vehicles, watercraft, private and personal use. 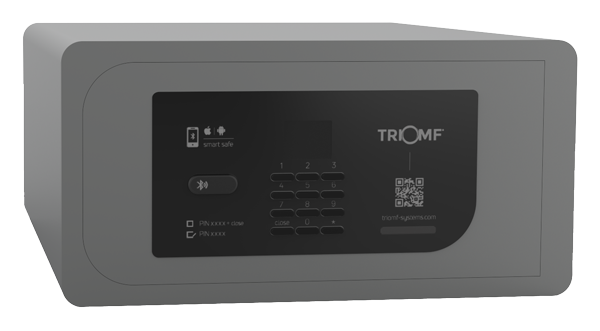 Its intelligent communications system makes the Triomf app an alternative to the use of codes and keys. Perfect for storing documents and belongings in total safety without the need for codes or keys. Your smartphone will do it all for you. With your smartphone, you’ll have it all under control. With no need for codes or keys, it’ll make your life easier. Safety for transportation vehicles and motor homes. SmartSafes can be added to vehicles to ensure the safety of belongings during travel.